The Vega Laser Cassette Marker offers permanent indelible marking of tissue cassettes with text, linear barcodes, and two-dimensional barcodes. 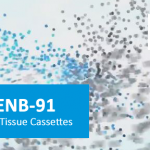 Specifically suited for laboratories that require a reliable solution to mark, identify and track cassettes, as part of a barcode-based workflow management system, this technology assures that cassettes are permanently marked and positively identified for their life, from grossing through to archiving. The FA-Tech brand utilizes a unique chemical phase change technology to produce permanent, high-resolution human readable and barcode identifiable images that remain indelible throughout the life of the cassette. Cassettes are printed using an innovative low-powered YAG laser, which activates a chemical compound embedded in the cassette plastic to create a permanent and indelible marking. Text and barcode images are high resolution (600dpi) and extremely durable; able to withstand the harshest reagents and solvents without fading or other damage. The compact VEGA prints cassettes at a rate of one every 5 seconds, for quick printing of linear and two-dimensional barcodes that will increase workflow productivity, whether using batch or distributed methods of output. FA-Tech two dimension barcode can contain up to 100 alphanumeric characters. 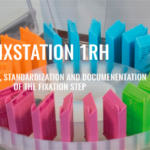 A six-magazines indexing table that can carry up to six different cassette-colors simultaneously, makes this unit a fully automated solution for the mid/large sized laboratory. Data is sent from your LIS/LIMS through the cassette printer software. Cassette formats must be designed and edited within the software. The software supports linear and two-dimensional barcode and True Type fonts. Operational expenses on consumable will be reduced, as the printing occurs internally, eliminating the need for ink cartridges, ribbon, and UV fixing lights. Interested in a quote for the FA-Tech VEGA?